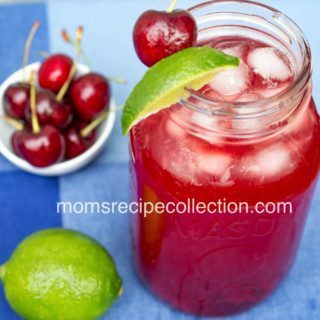 Easy thirst quenching, cherry limeade! The perfect beverage anytime, but especially when it’s hot outside! The weather is just getting warmer, and warmer. Before you know it, it will be blazing hot outside. 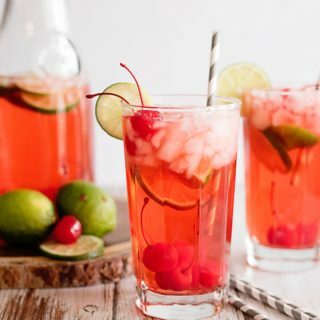 You’re going to be in need of an ice cold thirst quenching beverage, so why not try this amazing cherry limeade recipe? 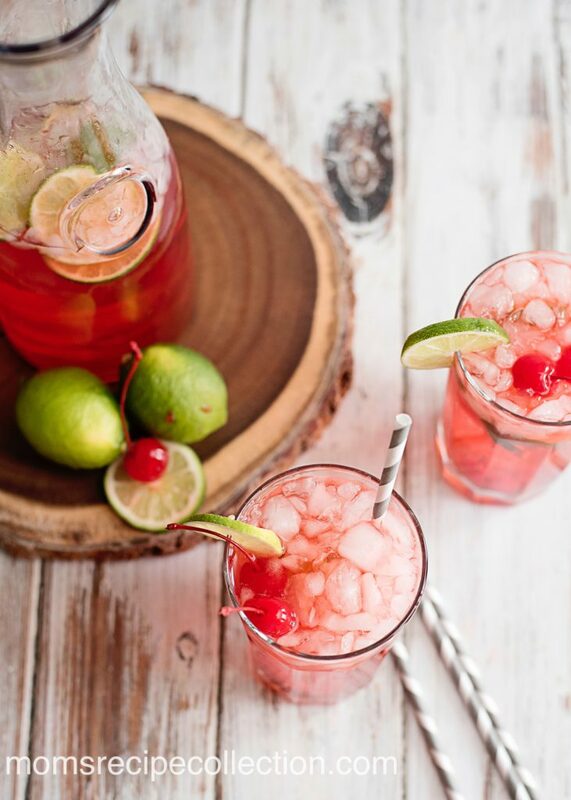 This sparkling cherry limeade is perfect for any occasion, but is definitely a spring & summer favorite in our household. This light crisp beverage is super easy to make. Try it for yourself ASAP. 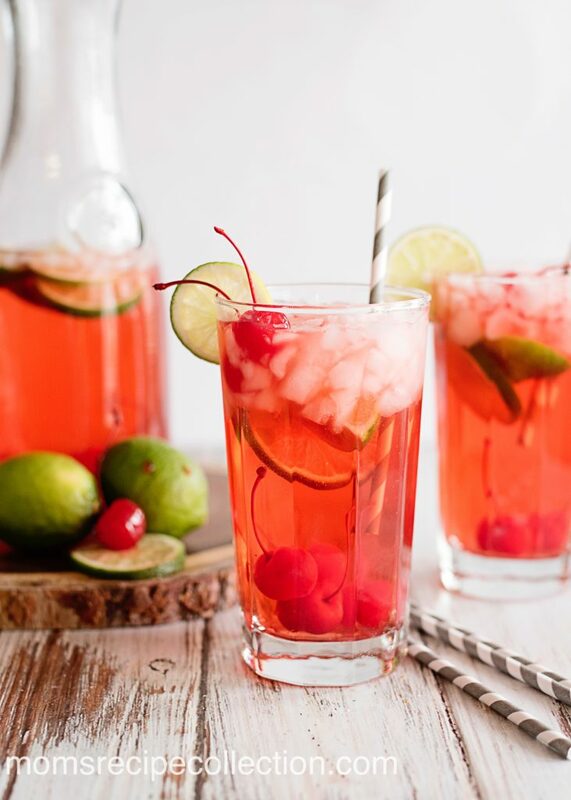 This easy thirst quenching sparkling cherry limeade is the perfect beverage anytime, but especially when it's hot outside! Maraschino cherry juice either purchase a bottle of it or use the reserve from your cherry jar. You will need 2-4 tbsp of juice for each drink. Start by slicing your limes up into halves, then take each half and halve them again. Leaving you with 4 slices. Your cherry limeade will start with placing a slice of lime at the bottom of your cup and 1, 2 or 3 cherries at the bottom. If you are a cherry lover, the more the better! Fill your cup with as much ice as you would like, I find that crushed ice feels more like the iconic Sonic drink. 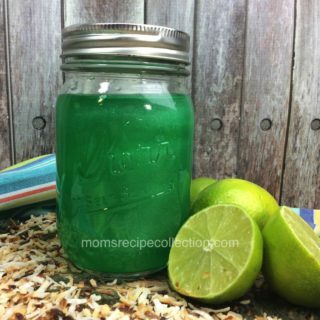 Squeeze a slice of lime into the drink and carefully stir everything up. Garnish with a slice of lime and a couple of cherries.